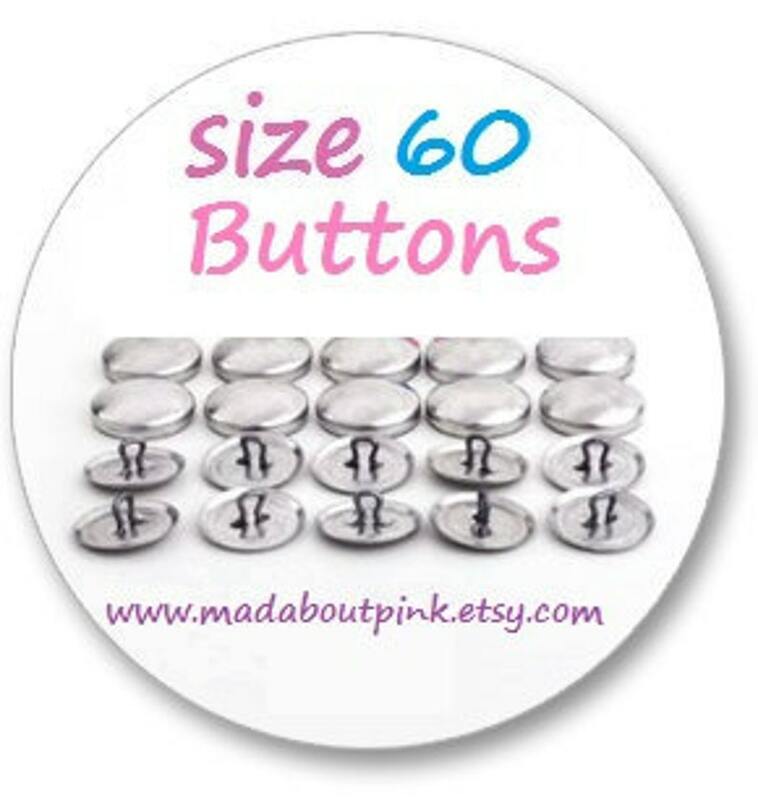 This listing includes 20 cover buttons (20 shells and 20 backs). They are wire-eye(shank/loop) backs. The shanks can be easily removed. You can also visit my website for tutorials and ideas on how to use them. This is such an easy way to create ponytail holders, barrettes, rings, brooch, push pins and a lot more. Don’t have time to make them? Ask me and I can cover them for you. L'attrezzo non è compreso in quanto si considera l'inserzione come ricarica ma è trovabile nel mio negozio nel kit. Se non avete il tempo per ricoprire i bottoni voi stessi, contattatemi e lo farò per voi! Tutto perfetto come sempre. grazie! Due to some customers not paying their parcels, I no longer accept payments upon delivery but you can contact me for a bank transfer or any other options. I ship with the Italian National Post office as standard (Posta Prioritaria) with no tracking in order to offer you the cheapest shipping rate. Please feel free to let me know if you wish to purchase insurance/tracking or to use a courier. I don't charge extra money on the quotation for shipping so feel entirely free to use your desired method. I send all the parcels every Saturday so let me know if it's urgent. Shipping rates includes all costs for packing, handling and shipping your order. I can't be responsible for not delivery, delays or lost items if tracking is not requested. I hope everyday that the postal service will do their job, unfortunately I can't travel with the parcel. Custom orders are welcome and comments too. I won't ship anything until you are completely satisfied. If you like my items I'll appreciate if you spread the voice.